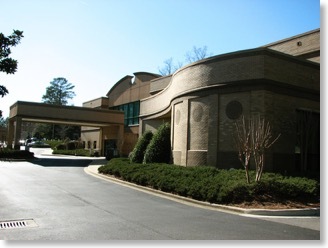 The Sleep Disorders Center of Alabama currently has a 6-bed freestanding laboratory located in a medical office building in the eastern section of Birmingham. Full polysomnographic testing for sleep disordered breathing and continuous positive airway pressure (CPAP) /bi-level titration; Multiple Sleep Latency Test (MSLT) and Maintenance of Wakefulness Test (MWT) for excessive daytime somnolence such as Narcolepsy or Idiopathic Hypersomnolence; and testing for abnormal behaviors during sleep such as Rapid eye movement Behavior Disorder (RBD) are conducted in state-of-the-art sleep suites. The sleep rooms have a home-like feel and are not like a hospital room at all. Each brightly painted room has a comfortable double bed with attractive bedspreads, curtains, night stand, recliner, TV, lamps, floral arrangements, personal bathroom, and shower. Family members are welcome to visit. The goal is to have the patient feel like they are in their own bedroom at home. Sleep Studies may be scheduled for day or evening, Sunday through Thursday and every other Friday. Unattended Home Sleep Studies are also available, when appropriate. Average wait times for studies is two weeks. 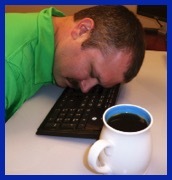 The Center's office hours are 8:00 AM to 4:30 PM and Sleep Lab hours are 7:30 PM to 7:30 AM. In the past, wait times for sleep studies at the center ranged from 4 to 6 weeks. Now, with the addition of two beds, the average wait has been reduced to 2 weeks.